For tens of thousands of years during the last glacial period, most of Europe, from Spain to Russia, was covered in great grassy plains, known as mammoth steppes. There, long-gone animal species like giant deer and mammoths shared the space with wild horses, like the tarpans. Most of those species became extinct about 12000 years ago, when climate change, possibly aided by human expansion and the isolation of animal subpopulations, turned the mammoth steppes into enormous forests. Wild horses, however, managed to adapt and survive in this new ecosystem, but eventually became extinct, mostly due to human activity, by the end of the 16th century. More recently, there have been numerous attempts to breed back the European wild horses, the best known of which gave rise to the Polish Konik. 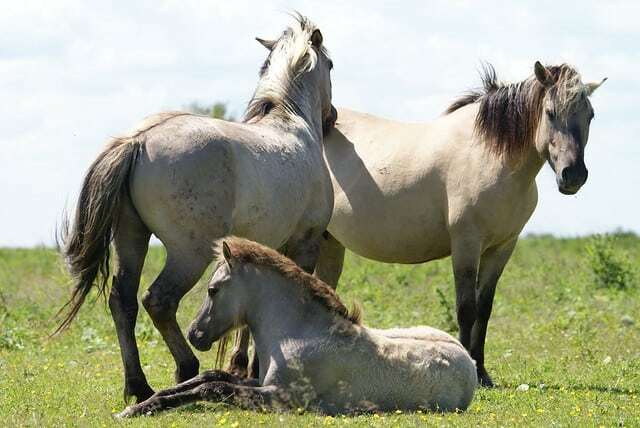 Konik horses have since been used as ecological substitutes of wild horses and reintroduced to various parts of Europe, but recent studies cast doubt on their authenticity and suitability to replace wild horses in European ecosystems. There is substantial bone evidence of the presence of wild horses all across Europe until 3000BCE, when domesticated horses were introduced from the Eurasian steppes, which resulted in some uncertainty regarding species determination, as the bones of both species are very similar. However, many descriptions of wild and feral horses in literature, from ancient times up until the 19th century, make it possible to distinguish between the original tarpans and feral horses, descendants from domesticated ones but living in the wild. Throughout the course of the centuries, the population of wild horses (and the descriptions of them) kept steadily declining as more land was being turned into human settlements and agriculture. One of the last strongholds of the wild horse was a large forested area in former East Prussia, known as the Great Wilderness. Up until the 13th century, the area of East Prussia was sparsely populated, and the few inhabitants were pagans professing a nature-loving religion, which kept the region’s forests almost untouched and provided a sanctuary for wild horse populations. Even though the area was threatened after it was conquered and converted to Christianism, the Great Wilderness eventually became a buffer zone between the hostile kingdoms of East Prussia, Poland and Lithuania, allowing wild horses and other formerly widespread animals, like bison and aurochs, to thrive. Ongoing colonization of the forest during the 16th century, however, led to a gradual decrease in wild horse populations, to the point where, by the end of the century, they are believed to have been extinct in the wild and only remained in zoos and wildlife parks. Some noblemen, like the Polish count Jan Zamoyski, kept wild horses in their zoos as a rarity and a symbol of status, but even these seem to have fallen into oblivion by the 18th century, which indicates that the wild horse probably went completely extinct at some point during that period. Over the past decades there has been semantic confusion about the use of the words Konik and Tarpan. Konik horse are not direct descendants from the Tarpan, the European wild horse, as is often stated. The last Tarpan in the wild was killed in 1879 in Western Russia, while the last captive Tarpan died in Moscow zoo in 1905 (photo left). In the 1930s a new breed called Konik emerged in Poland. The official local name for Konik horses is “Konik Polski”, literally “little Polish horse”. 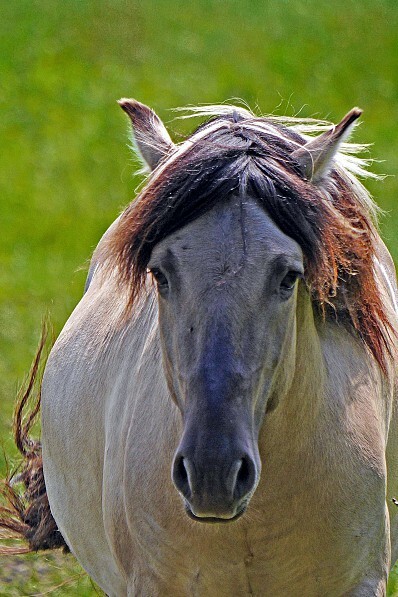 Konik horses are imported to European countries for rewilding purposes, however since the term Konik is not immediately clear for the general public, the word “horse” was added. In that way this farmers’ horse from Poland became the Konik horse, which means “little horse horse”. Just like the Konik horse is not a Tarpan, the Tarpan is not “the” European wild horse. The name Tarpan was derived from a Turkic language by Russian Zoologist Peter Simon Pallas in 1780 (literally meaning “wild horse”) to describe the wild horses discovered on the steppes of Eastern Europe in the 18th century. Considering the tarpan to be “the” European primitive wild horse which emerged at the beginning of the Holocene period, is scientifically not correct. Polymorphism, including geographical variation and subspecies, was certain in this vast and ecologically varied bio-geographical region. This variability within the wild ancestors of the horse paved the way for the variety of domestic breeds that currently exist. There are many so-called primitive, “forgotten” horse breeds that are genetically closer to the original European wild horse, like the Exmoor ponies in the UK, or the Sorraia, Pottoka, Asturcón, the Losino, the Galician, the Landais and Monchino horses in Spain. In 1826, a man by the name of Julius Brincken, working under the Russian tsar, wrote a book on the flora and fauna of the Białowieża forest in Poland, one of the few remnants of the Great Wilderness. In it, he described the appearance and occurrence of the European wild horse based on secondary literature and sources, and stated that the last wild horses were in fact transported from Białowieża to a Polish zoo in 1786, and later distributed among local farmers in 1806. However, Brincken’s book contains many inconsistencies and inaccuracies, from the description of the Białowieża forest landscape to that of the wild horse itself, and there are no other sources to confirm his claims about the last surviving wild horses. For these reasons, it is now generally agreed that his statements are false, and that wild horses did not exist in Poland in the 19th century, nor did they fit his description. Despite the current consensus that Brincken’s affirmations are unlikely at best, his work was widely used as a basis for breeding-back experiments during the 20th century. In the 1930s, the Heck brothers in Germany and Zygmunt Vetulani in Poland carried out the most famous experiments to bring the extinct wild horse back to life. 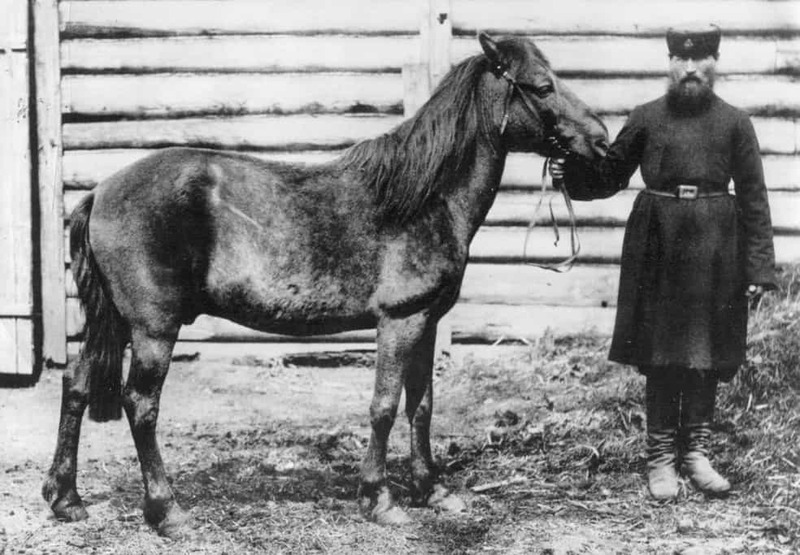 The Heck brothers crossed several European horse breeds, including Koniks, to come up with the so-called “Heck horse”. Vetulani mainly restricted his experiments to Konik horses from the Biłgoraj forest in Southeast Poland. While the Heck horse was quickly dismissed as a truthful look-alike of wild horses, Vetulani’s Konik, which he worked on until his death in 1952, was acclaimed as the true descendant of the tarpans. Both experiments, however, have something in common: It wasn’t only the desire to bring back an extinct species that drove their efforts, but also a strong nationalistic interest. Bringing back the wild horse would act as a symbol of the regained glory from years past in a time of turmoil between world wars. Both the Heck brothers and Vetulani got institutional support in this regard, from the Nazi regime and the Polish state, respectively. After Vetulani’s death, Poland continued the experiments to try to breed Koniks back into original tarpans. Despite the success of the Konik in being presented as a truthful heir to the European wild horse throughout the 20th century, critics now agree that this claim is largely not true. Evidence of this is in the influence of Brincken’s now-disproved theories on Vetulani’s work, coupled with the lack of scientific basis for his choice to use Biłgoraj Koniks and the misguided leverage of nationalistic ideals. Furthermore, DNA and skull analyses suggest that Koniks are in fact not closely related to the original tarpans, and had originally been bred as farm horses instead. By the time these rebuttals of Vetulani’s theories saw the light, though, Koniks had already been reintroduced to other parts of Europe where wild horses used to roam. In light of the more recent scientific studies, the Tarpan image of koniks is clearly not true, but other nature reserves followed suit across Europe and the Konik became more widespread, even serving as an example and a basis for reintroduction of other animals, such as wolves and bison, to areas where they had long been extinct. Even though Konik horses generally perform well in terms of nature management, in the way wild horses are believed to have influenced natural ecosystems, it is now clear that they’re not a tarpan or morphological substitute and have their own impact on ecosystems based on their characteristics as a breed. While the preservation of the Konik is valuable in itself as a primitive breed of farm horse, their role in nature management can be taken over by various other horse breeds, depending on the region, more closely related to the original wild horses. There are multiple active projects to protect and expand some of these breeds, such as Hutsul horses in the Central Carpathians, Pottoka horses in Northern Spain and Karakachan horses in Bulgaria, so the natural landscape in these areas can actually resemble that of the European Holocene a little closer.